Often referred to as the “Race of Truth”, the time trial is in some ways the purest of all road cycling disciplines. In a time trial, each rider rides alone to cover a course of given distance as quickly as possible. Usually, time trials are ridden over standard distances - 10, 25, 30, 50 or 100 miles - on out and back or circuit courses. Exceptions to this include non-standard distances (often associated with sporting courses), and the longer 12 and 24 hour time trials in which the rider aims to cover as many miles as possible in the allotted time. The governing body for time trialling in England and Wales is Cycling Time Trials (CTT). Actually, just about any road-worthy bike can be used, though a road bike is generally going to let you ride more quickly than a mountain bike, and a more aerodynamically designed time trial bike will be faster still. CTT rules on bicycles can be found here (you’ll have to scroll down a bit). Time trial courses are designed as ‘out and home’ or circuit courses, where the start and finish points are quite close. This is to prevent riders being assisted by the direction of the wind. Time triallists are pretty obsessive about weather conditions, since the weather is one of the main variables affecting a rider’s performance. Time trial courses are referred to by their course codes - for example F1B/25. This arcane system arose in the days when racing bikes on the road was pretty much forbidden by the then governing body, and time trials were conducted in secrecy. Usually the course code reflects the District in which the course is located (in this case, London North, indicated by ‘F’) and the distance (in this case ’25’ for 25 miles). There’s a list of London North course codes here. Note than almost all time trialling is done on open roads. What is an ‘open’ event? Open time trials are organised (usually by a cycling club) on behalf of CTT and are open to members of CTT-affiliated cycling clubs. Entry can be via post or increasingly online via the CTT website. You generally need to enter the event at least 10 days ahead of time. You’ll be asked for your best performances at the distance entered in the last three seasons or so - if you haven’t a prior performance, just say so on the entry form. If the event it oversubscribed, faster riders get preference on the closing date for entries. You’ll receive a start sheet prior to the event either by email or post, which will detail the course, where the race HQ is, and what your start time is. On the day, you’ll arrive at the HQ, sign on, collect you number and get ready to ride. Riders start at regular intervals, usually one minute, and you must not take pace from another rider. You’ll be held at the start by the ‘pusher-off’, and when your start time arrives, you’re off! It’s up to you to know the course - there will be marshals out there, but you’ll need to know the course to ensure you don’t go wrong. When you reach the finish, it’s a good idea to shout your number in case the number you’ve pinned on isn’t clearly visible. Then it’s back to the HQ for tea and cakes, and watch the results go up on the results board. You’ll receive a results sheet a few days after the event. What is a ‘club event’? Club time trials are rather more low key. 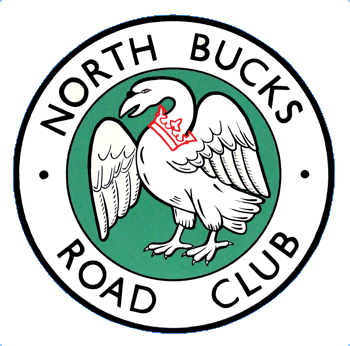 In the case of the North Bucks Road Club, we publish the calendar of events early in the year. If you want a ride, you just turn up on the evening and sign on, pin on your number. Usually our events have 30 or fewer riders, and all are open to beginners to come and try time trialling. It’s a pretty friendly and easy way to get a hang of the sport. How do I have a go at a time trial? The 2017 calendar of NBRC club events is available here. There's also the annual New Year's Day '10', which kicks off at 10 am. You can find open events via the CTT web site, where there’s more information about time trialling for beginners.